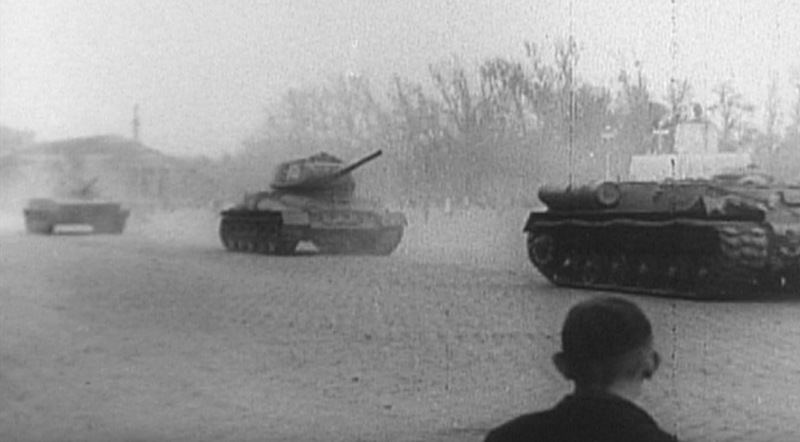 A young boy watchs Soviet tanks as they roll into Budapest in 1956. In the background is the former site of Jozef Stalin statue. Gabor Boritt fled Hungary soon after the 1956 Revolution was crushed by the U.S.S.R.